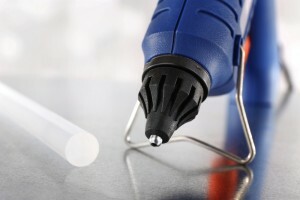 Hot melt adhesives (HMA) have a specific formulation which includes among other materials the polyolefin EVA, as an additive to improve the properties of the material with an adherent resin. HMAs do not content volatile organic compounds so they can be used without special precautions as they do not content solvent and they can be safely handle and used to fill gaps unlike other solvent based adhesives. These adhesives have a long shelf life and they can be eliminated without any special precaution. This application is widely used in industrial and home uses. Its principal properties are their melt viscosity, melt flow index, tack and pot life stability. They can be used for different applications as close boxes of common or corrugated cardboard, polypropylene labels of beverage bottles and other food packaging are often sick by HMA, assembling parts in industry, installation and repair of toys and other plastic pieces, disposable diapers, also to bond pieces or wires in electronic devices. Hot melts can easily have a useful second life, so they are recyclable.